The object of Yoga is to raise the human being from the consciousness of the ordinary mind subject to the control of vital and material Nature and limited wholly by birth and death and Time and the needs and desires of the mind, life and body to the consciousness of the spirit free in its self and using the circumstances of mind, life and body as admitted or self-chosen and self-figuring determinations of the spirit, using them in a free self-knowledge, a free will and power of being, a free delight of being. This is the essential difference between the ordinary mortal mind in which we live and the spiritual consciousness of our divine and immortal being which is the highest result of Yoga. It is a radical conversion as great as and greater than the change which we suppose evolutionary Nature to have made in its transition from the vital animal to the fully mentalised human consciousness. The animal has the conscious vital mind, but whatever beginnings there are in it of anything higher are only a primary glimpse, a crude hint of the intelligence which in man becomes the splendour of the mental understanding, will, emotion, aesthesis and reason. Man elevated in the heights and deepened by the intensities of the mind becomes aware of something great and divine in himself towards which all this tends, something he is in possibility but which he has not yet become, and he turns the powers of his mind, his power of knowledge, his power of will, his power of emotion and aesthesis to seek out this, to seize and comprehend all that it may be, to become it and to exist wholly in its greater consciousness, delight, being and power of highest becoming. But what he gets of this higher state in his normal mind is only an intimation, a primary glimpse, a crude hint of the splendour, the light, the glory and divinity of the spirit within him. 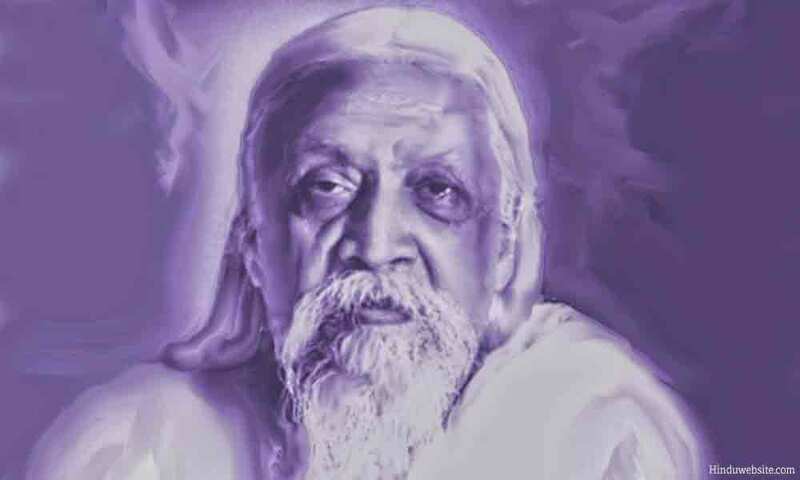 A complete conversion of all the parts of his being into moulds and instruments of the spiritual consciousness is demanded of him before he can make quite real, constant, present to himself this greater thing that he can be and entirely live in what is now to him at the best a luminous aspiration. He must seek to develop and grow altogether into a greater divine consciousness by an integral Yoga. The Yoga of perfection necessary to this change has, so far as we have been considering it, consisted in a preparatory purification of the mental, vital and physical nature, a liberation from the knots of the lower Prakriti, a consequent replacement of the egoistic state always subject to the ignorant and troubled action of the desire soul by a large and luminous static equality which quiets the reason, the emotional mind, the life mind and the physical nature and brings into us the peace and freedom of the spirit, and a dynamical substitution of the action of the supreme and universal divine Shakti under the control of the Ishwara for that of the lower Prakriti, - an action whose complete operation must be preceded by the perfection of the natural instruments. And all these things together, though not as yet the whole Yoga, constitute already a much greater than the present normal consciousness, spiritual in its basis and moved by a greater light, power and bliss, and it might be easy to rest satisfied with so much accomplished and think that all has been done that was needed for the divine conversion. A momentous question however arises as light grows, the question through what medium is the divine Shakti to act in the human being? Is it to be always through the mind only and on the mind plane or in some greater supramental formulation which is more proper to a divine action and which will take up and replace the mental functions? If the mind is to be always the instrument, then although we shall be conscious of a diviner Power initiating and conducting all our inner and outer human action, yet it will have to formulate its knowledge, will, Ananda and all things else in the mental figure, and that means to translate them into an inferior kind of functioning other than the supreme workings native to the divine consciousness and its Shakti. The mind spiritualised, purified, liberated, perfected within its own limits may come as near as possible to a faithful mental translation, but we shall find that this is after all a relative fidelity and an imperfect perfection. The mind by its very nature cannot render with an entirely right rightness or act in the unified completeness of the divine knowledge, will and Ananda because it is an instrument for dealing with the divisions of the finite on the basis of division, a secondary instrument therefore and a sort of delegate for the lower movement in which we live. The mind can reflect the Infinite, it can dissolve itself into it, it can live in it by a large passivity, it can take its suggestions and act them out in its own way, a way always fragmentary, derivative and subject to a greater or less deformation, but it cannot be itself the direct and perfect instrument of the infinite Spirit acting in its own knowledge. The divine Will and Wisdom organising the action of the infinite consciousness and determining all things according to the truth of the spirit and the law of its manifestation is not mental but supramental and even in its formulation nearest to mind as much above the mental consciousness in its light and power as the mental consciousness of man above the vital mind of the lower creation. The question is how far the perfected human being can raise himself above mind, enter into some kind of fusing union with the supramental and build up in himself a level of supermind, a developed gnosis by the form and power of which the divine Shakti can directly act, not through a mental translation, but organically in her supramental nature. It is here necessary in a matter so remote from the ordinary lines of our thought and experience to state first what is the universal gnosis or divine supermind, how it is represented in the actual movement of the universe and what are its relations to the present psychology of the human being. It will then be evident that though the supermind is suprarational to our intelligence and its workings occult to our apprehension, it is nothing irrationally mystic, but rather its existence and emergence is a logical necessity of the nature of existence, always provided we grant that not matter or mind alone but spirit is the fundamental reality and everywhere a universal presence. All things are a manifestation of the infinite spirit out of its own being, out of its own consciousness and by the self-realising, self-determining, self-fulfilling power of that consciousness. The Infinite, we may say, organises by the power of its self-knowledge the law of its own manifestation of being in the universe, not only the material universe present to our senses, but whatever lies behind it on whatever planes of existence. All is organised by it not under any inconscient compulsion, not according to a mental fantasy or caprice, but in its own infinite spiritual freedom according to the self-truth of its being, its infinite potentialities and its will of self-creation out of those potentialities, and the law of this self-truth is the necessity that compels created things to act and evolve each according to its own nature. The Intelligence - to give it an inadequate name - the Logos that thus organises its own manifestation is evidently something infinitely greater, more extended in knowledge, compelling in self-power, large both in the delight of its self-existence and the delight of its active being and works than the mental intelligence which is to us the highest realised degree and expression of consciousness. It is to this intelligence infinite in itself but freely organising and self-determiningly organic in its self-creation and its works that we may give for our present purpose the name of the divine supermind or gnosis. The fundamental nature of this supermind is that all its knowledge is originally a knowledge by identity and oneness and even when it makes numberless apparent divisions and discriminating modifications in itself, still all the knowledge that operates in its workings,, even in these divisions, is founded upon and sustained and lit and guided by this perfect knowledge by identity and oneness. The Spirit is one everywhere and it knows all things as itself and in itself, so sees them always and therefore knows them intimately, completely, in their reality as well as their appearance, in their truth, their law, the entire spirit and sense and figure of their nature and their workings. When it sees anything as an object of knowledge, it yet sees it as itself and in itself, and not as a thing other than or divided from it about which therefore it would at first be ignorant of the nature, constitution and workings and have to learn about them, as the mind is at first ignorant of its object and has to learn about it because the mind is separated from its object and regards and senses and meets it as something other than itself and external to its own being. The mental awareness we have of our own subjective existence and its movements, though it may point to, is not the same thing as this identity and self-knowledge, because what it sees are mental figures of our being and not the inmost or the whole and it is only a partial, derivative and superficial action of our self that appears to us while the largest and most secretly determining parts of our own existence are occult to our mentality. The supramental Spirit has, unlike the mental being, the real because the inmost and total knowledge of itself and of all its universe and of all things that are its creations and self-figurings in the universe. This is the second character of the supreme Supermind that its knowledge is a real because a total knowledge. It has in the first place a transcendental vision and sees the universe not only in the universal terms, but in its right relation to the supreme and eternal reality from which it proceeds and of which it is an expression. It knows the spirit and truth and whole sense of the universal expression because it knows all the essentiality and all the infinite reality and all the consequent constant potentiality of that which in part it expresses. It knows rightly the relative because it knows the Absolute and all its absolutes to which the relatives refer back and of which they are the partial or modified or suppressed figures. It is in the second place universal and sees all that is individual in the terms of the universal as well as in its own individual terms and holds all these individual figures in their right and complete relation to the universe. It is in the third place, separately with regard to individual things, total in its view because it knows each in its inmost essence of which all else is the resultant, in its totality which is its complete figure and in its parts and their connections and dependences, - as well as in its connections with and its dependences upon other things and its nexus with the total implications and the explicits of the universe. The mind on the contrary is limited and incapable in all these directions. Mind cannot arrive at identity with the Absolute even when by a stretch of the intellect it conceives the idea, but can only disappear into it in a swoon or extinction: it can only have a kind of sense or an intimation of certain absolutes which it puts by the mental idea into a relative figure. It cannot grasp the universal, but only arrives at some idea of it through an extension of the individual or a combination of apparently separate things and so sees it either as a vague infinite or indeterminate or a half determined largeness or else only in an external scheme or constructed figure. The indivisible being and action of the universal, which is its real truth, escapes the apprehension of the mind, because the mind thinks it out analytically by taking its own divisions for units and synthetically by combinations of these units, but cannot seize on and think entirely in the terms, though it may get at the idea and certain secondary results, of the essential oneness. It cannot, either, know truly and thoroughly even the individual and apparently separate thing, because it proceeds in the same way, by an analysis of parts and constituents and properties and a combination by which it erects a scheme of it which is only its external figure. It can get an intimation of the essential inmost truth of its object, but cannot live constantly and luminously in that essential knowledge and work out on the rest from within outward so that the outward circumstances appear in their intimate reality and meaning as inevitable result and expression and form and action of the spiritual something which is the reality of the object. And all this which is impossible for the mind to do, but possible only to strive towards and figure, is inherent and natural to the supramental knowledge. The third characteristic of the supermind arising from this difference, which brings us to the practical distinction between the two kinds of knowledge, is that it is directly truth-conscious, a divine power of immediate, inherent and spontaneous knowledge, an Idea holding luminously all realities and not depending on indications and logical or other steps from the known to the unknown like the mind which is a power of the Ignorance. The supermind contains all its knowledge in itself, is in its highest divine wisdom in eternal possession of all truth and even in its lower, limited or individualised forms has only to bring the latent truth out of itself, - the perception which the old thinkers tried to express when they said that all knowing was in its real origin and nature only a memory of inwardly existing knowledge. The supermind is eternally and on all levels truth-conscious and exists secretly even in mental and material being, surveys and knows the things, even obscurest, of the mental ignorance and understands and is behind and governs its processes, because everything in the mind derives from the supermind - and must do so because everything derives from the spirit. All that is mental is but a partial, a modified, a suppressed or half suppressed figure of the supramental truth, a deformation or a derived and imperfect figure of its greater knowledge. The mind begins with ignorance and proceeds towards knowledge. As an actual fact, in the material universe, it appears out of an initial and universal inconscience which is really an involution of the all-conscient spirit in its own absorbed self-oblivious force of action; and it appears therefore as part of an evolutionary process, first a vital feeling towards overt sensation, then an emergence of a vital mind capable of sensation and, evolving out of it, a mind of emotion and desire, a conscious will, a growing intelligence. And each stage is an emergence of a greater suppressed power of the secret supermind and spirit. The mind of man, capable of reflection and a coordinated investigation and understanding of itself and its basis and surroundings, arrives at truth but against a background of original ignorance, a truth distressed by a constant surrounding mist of incertitude and error. Its certitudes are relative and for the most part precarious certainties or else are the assured fragmentary certitudes only of an imperfect, incomplete and not an essential experience. It makes discovery after discovery, gets idea after idea, adds experience to experience and experiment to experiment, - but losing and rejecting and forgetting and having to recover much as it proceeds, - and it tries to establish a relation between all that it knows by setting up logical and other sequences, a series of principles and their dependences, generalisations and their application, and makes out of its devices a structure in which mentally it can live, move and act and enjoy and labour. This mental knowledge is always limited in extent: not only so, but in addition the mind even sets up other willed barriers, admitting by the mental device of opinion certain parts and sides of truth and excluding all the rest, because if it gave free admission and play to all ideas, if it suffered truth's infinities, it would lose itself in an unreconciled variety, an undetermined immensity and would be unable to act and proceed to practical consequences and an effective creation. And even when it is widest and most complete, mental knowing is still an indirect knowledge, a knowledge not of the thing in itself but of its figures, a system of representations, a scheme of indices, - except indeed when in certain movements it goes beyond itself, beyond the mental idea to spiritual identity, but it finds it extremely difficult to go here beyond a few isolated and intense spiritual realisations or to draw or work out or organise the right practical consequences of these rare identities of knowledge. A greater power than the reason is needed for the spiritual comprehension and effectuation of this deepest knowledge. This is what the supermind, intimate with the Infinite, alone can do. The supermind sees directly the spirit and essence, the face and body, the result and action, the principles and dependences of the truth as one indivisible whole and therefore can work out the circumstantial results in the power of the essential knowledge, the variations of the spirit in the light of its identities, its apparent divisions in the truth of its oneness. The supermind is a knower and creator of its own truth, the mind of man only a knower and creator in the half light and half darkness of a mingled truth and error, and creator too of a thing which it derives altered, translated, lessened from something greater than and beyond it. Man lives in a mental consciousness between a vast subconscient which is to his seeing a dark inconscience and a vaster superconscient which he is apt to take for another but a luminous inconscience, because his idea of consciousness is confined to his own middle term of mental sensation and intelligence. It is in that luminous superconscience that there lie the ranges of the supermind and the spirit. The supermind is again, because it acts and creates as well as knows, not only a direct truth-consciousness, but an illumined, direct and spontaneous truth-will. There is not and cannot be in the will of the self-knowing spirit any contradiction, division or difference between its will and its knowledge. The spiritual will is the Tapas or enlightened force of the conscious being of the spirit effecting infallibly what is there within it, and it is this infallible operation of things acting according to their own nature, of energy producing result and event according to the force within it, of action bearing the fruit and event involved in its own character and intention which we call variously in its different aspects law of Nature, Karma, Necessity and Fate. These things are to mind the workings of a power outside or above it in which it is involved and intervenes only with a contributory personal effort which partly arrives and succeeds, partly fails and stumbles and which even in succeeding is largely overruled for issues different from or at any rate greater and more far-reaching than its own intention. The will of man works in the ignorance by a partial light or more often flickerings of light which mislead as much as they illuminate. His mind is an ignorance striving to erect standards of knowledge, his will an ignorance striving to erect standards of right, and his whole mentality as a result very much a house divided against itself, idea in conflict with idea, the will often in conflict with the ideal of right or the intellectual knowledge. The will itself takes different shapes, the will of the intelligence, the wishes of the emotional mind, the desires of the passion and the vital being, the impulsions and blind or half-blind compulsions of the nervous and the subconscient nature, and all these make by no means a harmony, but at best a precarious concord among discords. The will of the mind and life is a stumbling about in search of right force, right Tapas which can wholly be attained in its true and complete light and direction only by oneness with the spiritual and supramental being. The supramental nature on the contrary is just, harmonious and one, will and knowledge there only light of the spirit and power of the spirit, the power effecting the light, the light illumining the power. In the highest supramentality they are intimately fused together and do not even wait upon each other but are one movement, will illumining itself, knowledge fulfilling itself, both together a single jet of the being. The mind knows only the present and lives in an isolated movement of it though it tries to remember and retain the past and forecast and compel the future. The supermind has the vision of the three times, trikaladrshti; it sees them as an indivisible movement and sees too each containing the others. It is aware of all tendencies, energies and forces as the diverse play of unity and knows their relation to each other in the single movement of the one spirit. The supramental will and action are therefore a will and action of the spontaneous self-fulfilling truth of the spirit, the right and at the highest the infallible movement of a direct and total knowledge. The supreme and universal Supermind is the active Light and Tapas of the supreme and universal Self as the Lord and Creator, that which we come to know in Yoga as the divine Wisdom and Power, the eternal knowledge and will of the Ishwara. On the highest planes of Being where all is known and all manifests as existences of the one existence, consciousness of the one consciousness, delight's self-creations of the one Ananda, many truths and powers of the one Truth, there is the intact and integral display of its spiritual and supramental knowledge. And in the corresponding planes of our own being the Jiva shares in the spiritual and supramental nature and lives in its light and power and bliss. As we descend nearer to what we are in this world, the presence and action of this self-knowledge narrows but retains always the essence and character when not the fullness of the supramental nature and its way of knowing and willing and acting, because it still lives in the essence and body of the spirit. The mind, when we trace the descent of the self towards matter, we see as a derivation which travels away from the fullness of self, the fullness of its light and being and which lives in a division and diversion, not in the body of the sun, but first in its nearer and then in its far-off rays. There is a highest intuitive mind which receives more nearly the supramental truth, but even this is a formation which conceals the direct and greater real knowledge. There is an intellectual mind which is a luminous half-opaque lid which intercepts and reflects in a radiantly distorting and suppressively modifying atmosphere the truth known to the supermind. There is a still lower mind built on the foundation of the senses between which and the sun of knowledge there is a thick cloud, an emotional and a sensational mist and vapour with here and there lightnings and illuminations. There is a vital mind which is shut away even from the light of intellectual truth, and lower still in submental life and matter the spirit involves itself entirely as if in a sleep and a night, a sleep plunged in a dim and yet poignant nervous dream, the night of a mechanical somnambulist energy. It is a re-evolution of the spirit out of this lowest state in which we find ourselves at a height above the lower creation having taken it up all in us and reaching so far in our ascent only the light of the well-developed mental reason. The full powers of self-knowledge and the illumined will of the spirit are still beyond us above the mind and reason in supramental Nature. If the spirit is everywhere, even in matter - in fact matter itself is only an obscure form of the spirit - and if the supermind is the universal power of the spirit's omnipresent self-knowledge organising all the manifestation of the being, then in matter and everywhere there must be present a supramental action and, however concealed it may be by another, lower and obscurer kind of operation, yet when we look close we shall find that it is really the supermind which organises matter, life, mind and reason. And this actually is the knowledge towards which we are now moving. There is even a quite visible intimate action of the consciousness, persistent in life, matter and mind, which is clearly a supramental action subdued to the character and need of the lower medium and to which we now give the name of intuition from its most evident characteristics of direct vision and self-acting knowledge, really a vision born of some secret identity with the object of the knowledge. What we call the intuition is however only a partial indication of the presence of the supermind, and if we take this presence and power in its widest character, we shall see that it is a concealed supramental force with a self-conscient knowledge in it which informs the whole action of material energy. It is that which determines what we call law of nature, maintains the action of each thing according to its own nature and harmonises and evolves the whole, which would otherwise be a fortuitous creation apt at any moment to collapse into chaos. All the law of nature is a thing precise in its necessities of process, but is yet in the cause of that necessity and of its constancy of rule, measure, combination, adaptation, result a thing inexplicable, meeting us at every step with a mystery and a miracle, and this must be either because it is irrational and accidental even in its regularities or because it is suprarational, because the truth of it belongs to a principle greater than that of our intelligence. That principle is the supramental; that is to say, the hidden secret of Nature is the organisation of something out of the infinite potentialities of the self-existent truth of the spirit the nature of which is wholly evident only to an original knowledge born of and proceeding by a fundamental identity, the spirit's constant self-perception. All the action of life too is of this character and all the action of mind and reason, - reason which is the first to perceive everywhere the action of a greater reason and law of being and try to render it by its own conceptional structures, though it does not always perceive that it is something other than a mental Intelligence which is at work, other than an intellectual Logos. All these processes are actually spiritual and supramental in their secret government, but mental, vital and physical in their overt process. The outward matter, life, mind do not possess this occult action of the supermind, even while possessed and compelled by the necessity it imposes on their workings. There is what we are sometimes moved to call an intelligence and will operating in the material force and the atom (although the words ring false because it is not actually the same thing as our own will and intelligence), - let us say, a covert intuition of self-existence at work, - but the atom and force are not aware of it and are only the obscure body of matter and of power created by its first effort of self-manifestation. The presence of such an intuition becomes more evident to us in all the action of life because that is nearer to our own scale. And as life develops overt sense and mind, as in the animal creation, we can speak more confidently of a vital intuition which is behind its operations and which emerges in the animal mind in the clear form of instinct, - instinct, an automatic knowledge implanted in the animal, sure, direct, self-existent, self-guided, which implies somewhere in its being an accurate knowing of purpose, relation and the thing or object. It acts in the life force and mind, but yet the surface life and mind do not possess it and cannot give an account of what it does or control or extend the power at its will and pleasure. Here we observe two things, first, that the overt intuition acts only for a limited necessity and purpose, and that in the rest of the operations of the nature there is a double action, one uncertain and ignorant of the surface consciousness and the other subliminal implying a secret subconscient direction. The surface consciousness is full of a groping and seeking which increases rather than diminishes as life rises in its scale and widens in the scope of its conscious powers; but the secret self within assures in spite of the groping of the vital mind the action of the nature and the result needed for the necessity, the purpose and the destiny of the being. This continues on a higher and higher scale up to the human reason and intelligence. The being of man also is full of physical, vital, emotional, psychical and dynamic instincts and intuitions, but he does not rely on them as the animal does, - though they are capable in him of a far larger scope and greater action than in the animal and lower creation by reason of his greater actual evolutionary development and his yet greater potentiality of development of the being. He has suppressed them, discontinued their full and overt action by atrophy, - not that these capacities are destroyed but rather held back or cast back into the subliminal consciousness, - and consequently this lower part of his being is much less sure of itself, much less confident of the directions of his nature, much more groping, errant and fallible in its larger scope than that of the animal in his lesser limits. This happens because man's real dharma and law of being is to seek for a greater self-aware existence, a self-manifestation no longer obscure and governed by an ununderstood necessity, but illumined, conscious of that which is expressing itself and able to give it a fuller and more perfect expression. And finally his culmination must be to identify himself with his greatest and real self and act or rather let it act (his natural existence being an instrumental form of the expression of the spirit) in its spontaneous perfect will and knowledge. His first instrument for this transition is the reason and the will of the rational intelligence and he is moved to depend upon that to the extent of its development for his knowledge and guidance and give it the control of the rest of his being. And if the reason were the highest thing and the greatest all-sufficient means of the self and spirit, he could by it know perfectly and guide perfectly all the movements of his nature. This he cannot do entirely because his self is a larger thing than his reason and if he limits himself by the rational will and intelligence, he imposes an arbitrary restriction both in extent and in kind on his self-development, self-expression, knowledge, action, Ananda. The other parts of his being demand too a complete expression in the largeness and perfection of the self and cannot have it if their expression is changed in kind and carved, cut down and arbitrarily shaped and mechanised in action by the inflexible machinery of the rational intelligence. The godhead of the reason, the intellectual Logos, is only a partial representative and substitute for the greater supramental Logos, and its function is to impose a preliminary partial knowledge and order upon the life of the creature, but the real, final and integral order can only be founded by the spiritual supermind in its emergence. The supermind in the lower nature is present most strongly as intuition and it is therefore by a development of an intuitive mind that we can make the first step towards the self-existent spontaneous and direct supramental knowledge. All the physical, vital, emotional, psychic, dynamic nature of man is a surface seizing of suggestions which rise out of a subliminal intuitive self-being of these parts, and an attempt usually groping and often circuitous to work them out in the action of a superficial embodiment and power of the nature which is not overtly enlightened by the inner power and knowledge. An increasingly intuitive mind has the best chance of discovering what they are seeking for and leading them to the desired perfection of their self-expression. The reason itself is only a special kind of application, made by a surface regulating intelligence, of suggestions which actually come from a concealed, but sometimes partially overt and active power of the intuitive spirit. In all its action there is at the covered or half-covered point of origination something which is not the creation of the reason, but given to it either directly by the intuition or indirectly through some other part of the mind for it to shape into intellectual form and process. The rational judgment in its decisions and the mechanical process of the logical intelligence, whether in its more summary or in its more developed operations, conceals while it develops the true origin and native substance of our will and thinking. The greatest minds are those in which this veil wears thin and there is the largest part of intuitive thinking, which often no doubt but not always brings with it a great accompanying display of intellectual action. The intuitive intelligence is however never quite pure and complete in the present mind of man, because it works in the medium of mind and is at once seized on and coated over with a mixed stuff of mentality. It is as yet not brought out, not developed and perfected so as to be sufficient for all the operations now performed by the other mental instruments, not trained to take them up and change them into or replace them by its own fullest, most direct, assured and sufficient workings. This can indeed only be done if we make the intuitive mind a transitional means for bringing out the secret supermind itself of which it is a mental figure and forming in our frontal consciousness a body and instrument of supermind which will make it possible for the self and spirit to display itself in its own largeness and splendour. It must be remembered that there is always a difference between the supreme Supermind of the omniscient and omnipotent Ishwara and that which can be attained by the Jiva. The human being is climbing out of the ignorance and when he ascends into the supramental nature, he will find in it grades of its ascension, and he must first form the lower grades and limited steps before he rises to higher summits. He will enjoy there the full essential light, power, Ananda of the infinite self by oneness with the Spirit, but in the dynamical expression it must determine and individualise itself according to the nature of the self-expression which the transcendent and universal Spirit seeks in the Jiva. It is God-realisation and God-expression which is the object of our Yoga and more especially of its dynamic side, it is a divine self-expression in us of the Ishwara, but under the conditions of humanity and through the divinised human nature. Source:This article was originally published in July 1920 and is currently in the public domain. It is reproduced here as per the international conventions on copyright laws for the benefit of our readers.